Old Chrysler designs don’t die. ; Instead, they’re shipped to Russia, where – after a few small adjustments – they continue to be manufactured. 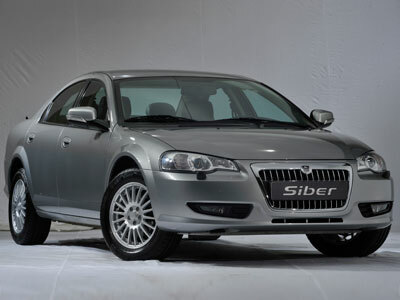 ; Such is the case with the 2008 GAZ Volga Siber, which, for all intents and purposes, is a 2006 Chrysler Sebring sedan. No, this isn’t a knock-off of the departed JR-platform; it is the JR platform. ; Before retooling their assembly plant in Sterling Heights, Michigan, for the 2007 Sebring and Dodge Avenger, Chrysler was approached by Russian automaker GAZ to purchase the rights and tooling to the outgoing model. 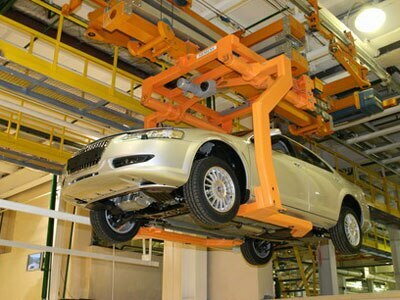 The tooling was shipped and installed in GAZ’s plant in Gorky, Russia, while engineers worked on a few changes to the car. ; Yes, it now sports an enlarged grille and HID projector headlamps, but we’re told the Siber’s suspension is stiffer and allows for a taller ride height. The Siber’s powertrain is also older Chrysler fare; the base engine is the 2.0-liter “World Engine” I-4, delivering 141 hp. Uplevel models will use the 2.4-liter I-4, which produces 173 hp. GAZ expects the Siber to arrive at its 68 dealerships by September, and hopes to move 100,000 units annually.